Traditionally flowers or “floral tributes” are used to express sympathy and also to celebrate the life of your loved one. Flowers are a simple way of showing your respect and support at the funeral service. 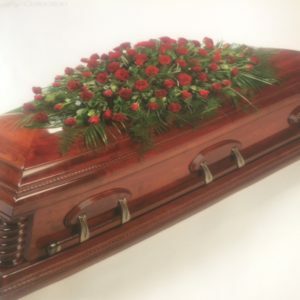 Flowers commonly adorn the funeral home, the funeral vehicles and sit proud upon the coffin. 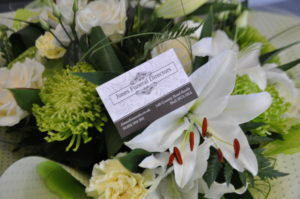 Our hand-picked florist based in Hull offers a vast selection of arrangements including sprays, wreaths, bouquets and can arrange personalised tributes for your loved ones requirements. We can discuss floral tributes with you and place an order on your behalf. alternatively you may wish to arrange your own, all we ask is that your florist delivers the flowers to our funeral home on the day of the service by 9.00am. As well as flowers you may wish mourners to leave donations to a charity of your or your loved ones choice. We are more than happy to arrange this on your behalf, we will then forward the donations to you and you can pass the monies raised to the charity of your choice.